Let me help you plan an unforgettable trip to the Sultanate! 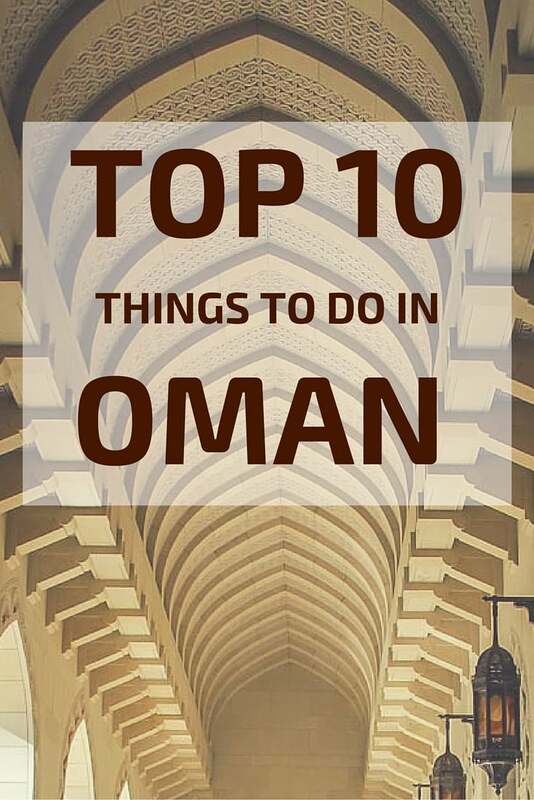 Find out my selection of the top things to do in Oman including history, scenery and adventure. With photos and video, discover the best places to visit in Oman and what to do for your trip to be memorable. It is one of the top destinations for Tourists and Locals in Oman. Wadi Shab is a wadi accessible only by foot. Where it gets narrower it is filled with water in which you can swim all the way to a cave with a waterfall. It is preserved as you need to hike and swim. It is a great adventure yet not too difficult. I really enjoyed the swimming part of this typical Omani adventure: the clear water, the white boulder, the huge sandstone cliffs and the peace and quiet. Definitively one of my favorite places to visit in Oman. Every year thousands of turtles come to the shores of Oman to lay their eggs. Ras Al Jinz is a beach transformed as a reserve where they study the turtles and provide a good environment for them to come. They organize evening and morning tours to observe them dig a hole and slide to sea. Huge wild turtles making their way on the sand... what's not to love? The excitation builds up as you walk on the beach looking for the turtles in holes. And when you find one it is spectacular. They are really big and very resilient digging their hole considering how difficult it is for them to move on sand. This is one of the Top attractions in Oman. Located in the new part of the Capital city of Muscat, the Grand Mosque is a magnificent building offered to the people by the Sultan Qaboos. It can receive 20000 worshippers. In the mornings, tourists can step in and admire the elegant architecture. It is big enough to not be stuck with other tourists. There are interesting corridors everywhere with mosaics. Except the main prayer hall, it is not over decorated and I love simplicity! Definitely the best thing to do in Muscat. You can just take a taxi to the Mosque as it is in central Muscat. Located South of Sur, Wahiba Sands is a "small" desert. Not far from the sea, the wind creates longitudinal sand dunes. As it has become one of the top things to do in Oman, several camps have settled for tourists. But if you feel adventurous, you can also go wild camp (see #8). Well, I love desert and sand dunes so this was a no-brainer. If you can, I really recommend wild camping to be alone for sunset and sunrise and explore on your own time. Watching the various shapes of dunes changing colors as the sun goes up is meditative. One of the best places to see in Oman. The other famous wadi in Oman, Wadi Bani Khalid is more accessible to tourists. Pools are bigger and a simple walk gets you there. The swim was shorter but the river narrower and deep creating a very different feeling than Wadi Shab. The huge cliffs surrounding you are very impressive from the water. But be aware that this is not off the beaten track. 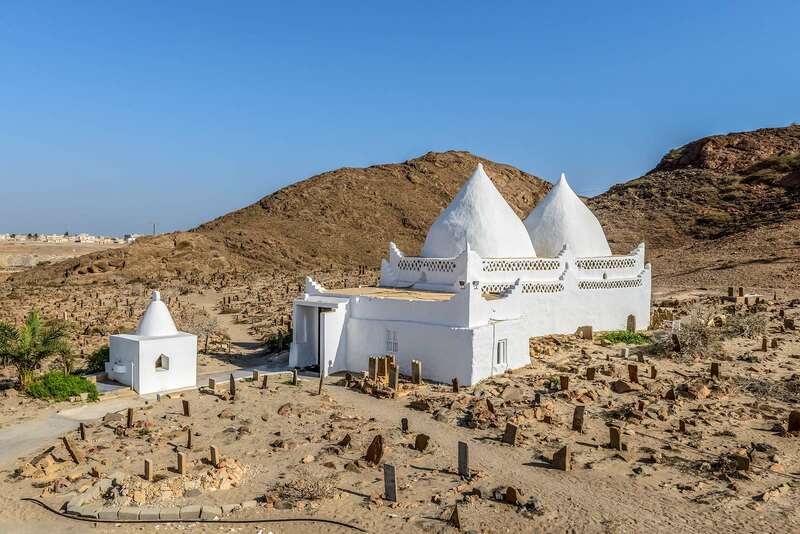 It is one of the top Oman attractions. What is the Nizwa Fort..
One of the most visited places in Oman, the Nizwa fort is a combination of a castle, a fort and a museum. An example of old Omani architecture, you can climb to the top of the circular tower to watch the oasis that is Nizwa. Once again, it is not overdecorated and I really enjoy the simplicity. The displays in the chambers are interesting without being overwhelming. Climbing the tower was fun and the views impressive. Of of the great forts to visit in Oman. Discover more photos, info and some planning tips on my dedicated article​ on the Nizwa Fort and the climb to the top of the tower. 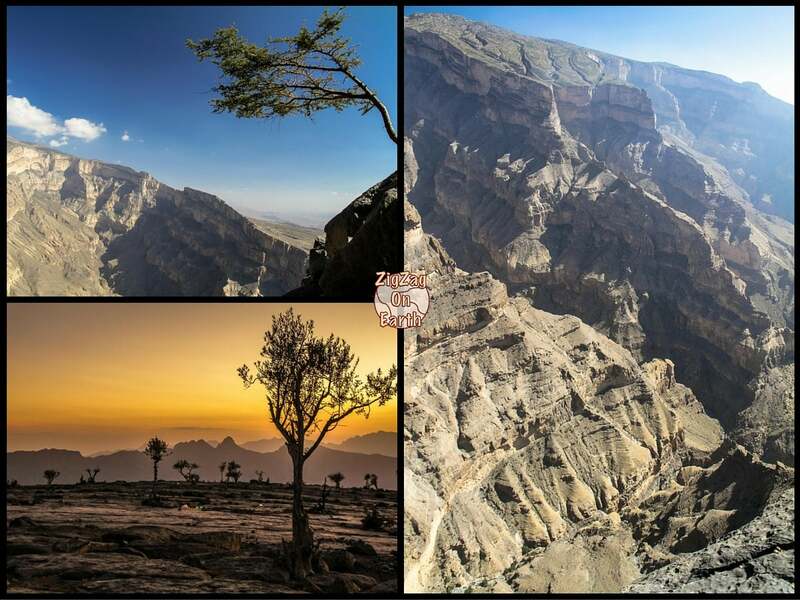 Jebel Shams is the highest mountains in Oman. It's name is generally used to describe the 'Grand Canyon' of Arabia next to it. Several hiking path and viewing points let you discover this very deep gorge. Most top destination lists include Jebel Akdhar but I preferred the grand canyon of Jebel Shams. The depth is mesmerizing. Be careful! Definitively one of the top things to see in Oman - so different from the US grand canyon! Discover more photos, info and some planning tips on my dedicated article​ about Jebel Shams and the grand canyon of Oman. Wild camping is allowed anywhere in Oman. So pack your equipment and enjoy a night on a beach, in the mountains or in the desert. I have always loved camping. Every summer we used to camp with my parents. The advantage of wild camping is that you are right there in nature. You can experience right away the country instead of being in a hotel bubble. On the beach I was able to admire fishermen throwing their nets while eating breakfast and in the desert, I walked on my own to admire sunrise surrounded by only sand. Discover more photos, info and tips on my dedicated article​ about Wild Camping in Oman. 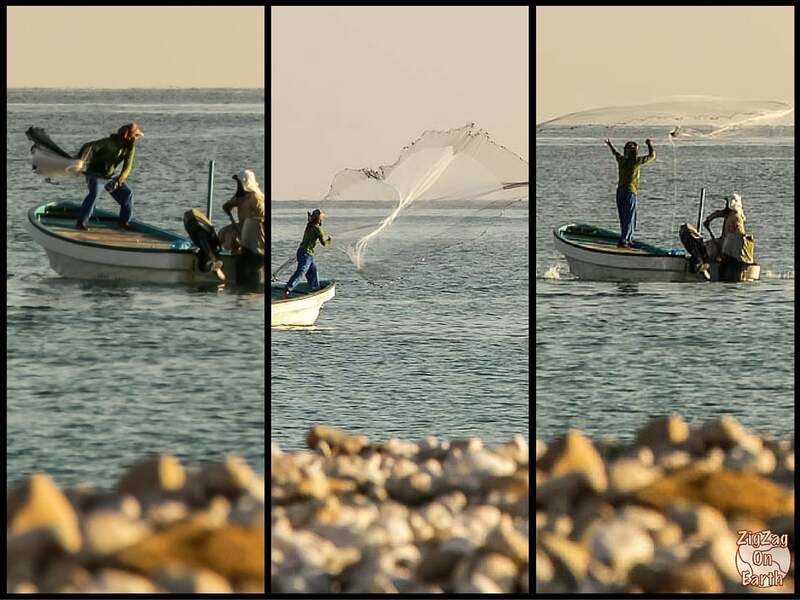 Many fishermen in Oman still use the traditional throwing of the net. If you go to the Fish Market in Oman and go to the pier you will see them coming back with their catch. Get up early one morning and settle on a beach, normally you should spot them. Muscat has 2 main marinas: The Waves and Al Rhowda (see the map) form there you can take diving and snorkeling boat tours. The best snorkeling spot is said to be the Damaniyat islands. But I was able to see a turtle on my boat tour along the shores South of Muscat. Discover more photos, videos, info and tips on my dedicated article​ about my Boat Tours from Muscat and my snorkeling experience at the Daymaniyat Islands. Before share photos of more places to see in Oman, I have gathered some of my best travel moments during my Oman Road Trip in a short video. I did not film all the time so it is just a selection but it gives you a feel. I especially loved when I was watching a canyon, turned around and camels appeared and walked by the car! So far I have selected places that are easily accessed from the capital City Muscat. Located up to the North, detached from Mainland Oman and not that far from Dubai is the beautiful Musandam peninsula, often called the fjord of Oman. Incredible colors and great snorkeling opportunities. Which one do you want to experience? 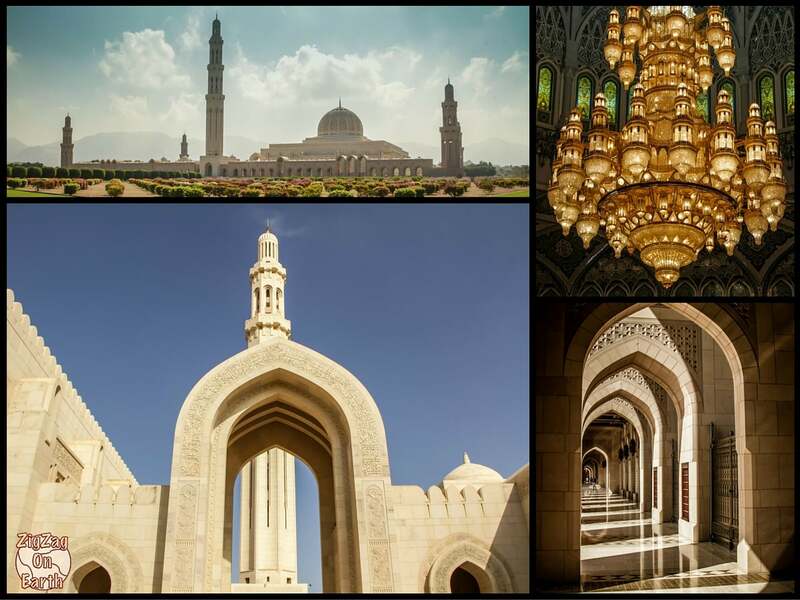 Claire, thank you SO MUCH for your work – this is the best travel guide about Muscat, Oman!!! 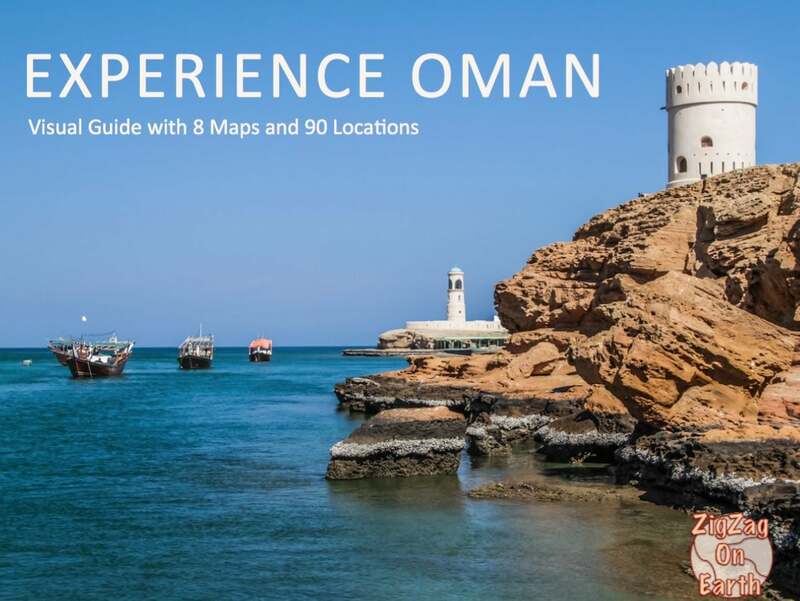 I have been searching about Oman for a long time in Internet, but its very difficult to find proper directions, maps, correct names of the sightseeing’s and their locations. But you did incredible job, and its free, everyone can use it. Thank you so much!!! I am glad you found my guide useful. However I am sorry, but my photos, videos and articles are not available for purchase.